There comes a time in everyone’s life when one needs a Manhattan. During the past few weeks, that time had come for me. Actually, it came for me several times. 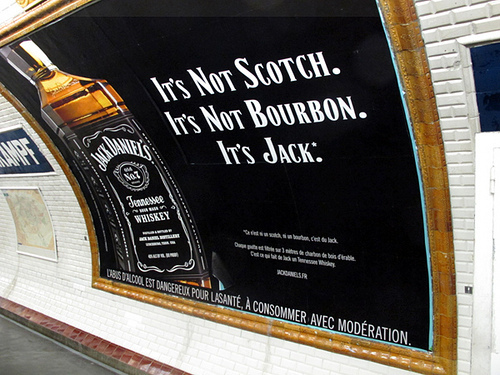 I’ve recently been turned on to rye whiskey, and although folks online spoke up about various brands they like when I mentioned my sudden craving on social media, I learned that it’s not something that one comes across every day in Paris. I went to three wine and liquor stores in my neighborhood and none of them had any on their liquor shelves, and none of the salespeople had ever heard of it. One offered me Scotch, which was kind of funny and someone on Twitter suggested that I explain to them that that’s like offering something sparkling wine because, really, it’s the same thing as Champagne*. I happened to find myself near the Place de l’Odeon (actually, I wasn’t really all that near, but I made a detour) and went into La Maison du Whisky, where I knew that I would find a knowledgable ear. I love learning about new things and Paris is great because there are so many specialty stores manned (and women’d) by people who work there that are really dedicated to what they offer. And unlike other places where they often want to upsell something to you that you don’t really need, that doesn’t happen in Paris too often and I offer myself up as a blank slate, so I can learn from the masters of their craft. As someone who started his restaurant career washing dishes and taking out the trash, and was a martial artist many years as well, I firmly believe in starting at the bottom and learning from “those who came before you”…how the word “sensei” in Japanese is often translated to. But let me tell you, there’s nothing that will make you more at ease than a couple of Manhattans. So I went home and after washing out my eyeballs, I found myself in my kitchen, armed with a bottle of Dolin vermouth, which proudly declares that it’s Made in France on the bottle (in English!). And of the three or four bottles of rye that they had in stock, I went with Pikesville. (For those who write me asking what you can bring or send me, I’m switching from gold bullion which, unfortunately, no one’s taken me up on – to Hudson Manhattan rye, which is out of my budget.) I love the mix of slightly smoky flavors with fruit notes in rye and I think I need to figure out how to bring a barrel of it back from the states on my next visit. Or let visitors do it. So back home, I had some griottes confits (candied sour cherries, a recipe from Ready for Dessert) that I had put up last summer and used them instead of maraschino cherries, which I would need some of that gold bullion to afford here. And even though I used to eat a whole jarful of them as a kid, now I find them rather, um, sweet, and don’t mind one once in a while. But I’d rather squander my euros on rye and vermouth. Honestly, I don’t know if there is anything a Manhattan can’t do. 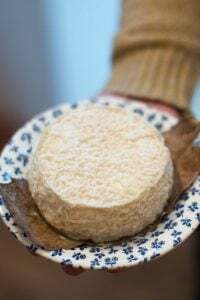 It took me to the sixth arrondissement for rye and vermouth, and on the métro there, I got a lesson in American whiskey as well as a chance to learn about the multicultural possibilities for le fromage bleu. However I’m going to try to stick with tradition on this cocktail, and take a pass on any nontraditional sushi. Some folks use a twist of citrus in their Manhattans and, yes, if you look around, there are a good number of people who “go rogue” with the cocktail and I recently read an article about some hardy soul that used 4 parts rye to 1 part vermouth, and even used non-rye in his. (I prefer rye.) 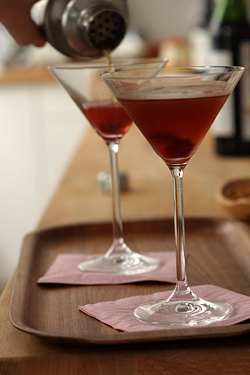 But I am interested in trying these with half sweet vermouth, and half dry, which is called a Perfect Manhattan. I guess another trip to the liquor store is in order. Cheers! 1. Fill a small pitcher or cocktail shaker about half-full of ice and add the rye, vermouth and a few dashes of a favorite bitters. Stir semi-leisurely for about a minute, to chill the mixture. 2. 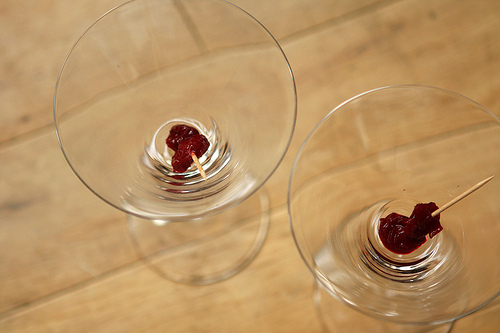 Put the cherries into two chilled cocktail glasses and strain the Manhattan mixture between them. *Yes, I/we know it’s not. **The fine print translates it into French, like any ads in a language other than French are required to be. Oooh, my favorite. Right now I have a bottle of Booker’s bourbon that I’ve been making them with as it is easy to come by in the duty-free shops. I like mine “perfect” with equal parts sweet and dry vermouth. It will warm the cockles of your heart. I first discovered Manhattans in, of all places, Philly, and recently rekindled my love of them at a recent trip to Harry’s New York Bar in Paris. 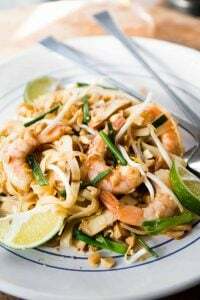 Now I make them regularly at home. Finding rye whiskey is a bit difficult in Turkey, where I live, but I make do with regular old whiskey or bourbon. 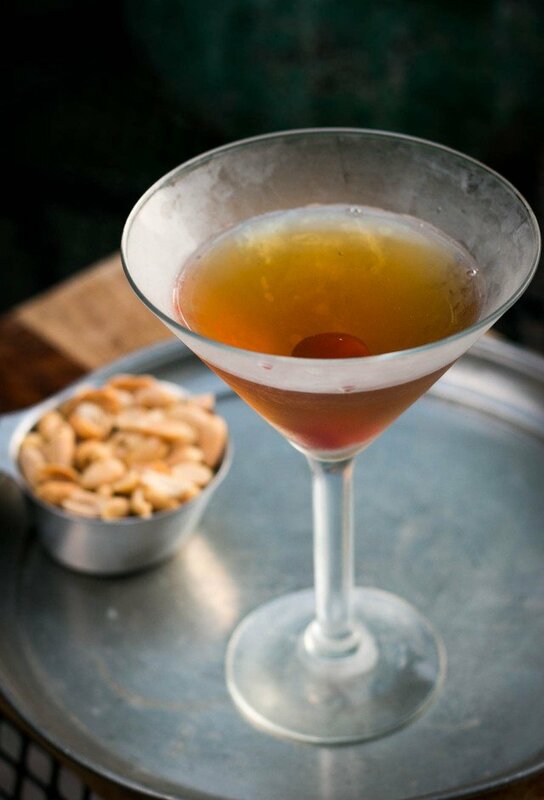 In winter, nothing beats a Manhattan. Or possibly an old fashioned, one of my other favorite whiskey drinks. Ah, I didn’t know that! To be honest, I tend to buy 90% of my alcohol at duty-free. It’s simply too expensive in Turkey and they don’t sell the good stuff here anyway. Good to know on the Canadian whiskey though. Thanks for the tip! It’s funny you brought up that Canadian whiskey’s can be heavy in rye without being called rye, because the opposite is also very true. For some reason our labelling laws allow producers to use the term “rye whiskey” even when it contains no rye at all! The alberta springs rye whiskey is a good deal here in Canada. The percentages of rye vary by batch, but it’s quite nice and a good deal for the price. Although I’m not sure how often you can find it in the duty free. Hilarious that you can get Pikesville Rye in Paris but I can’t find it in New Jersey. Luckily I am in MD often and grab the 1.75 liter size. Under $20, and it makes a really nice Manhattan, which is the King of Cocktails, IMO. I just read an interesting article from a Canadian newspaper that wrote that a while back, “rye” whisky was considered a poor cousin of the whisky world, so they stopped using the name. I bought a bottle of Crown Royal at duty-free since they were only $18 (!) each, and plan to open it and try it as well. Next time I’m going to check the limit as to how many bottles I can bring in – and stock up! Funny thing about those duty-free limits. The limit of what you can bring into Turkey is 1 litre of spirits (vodka, gin, etc.) But Turkey really doesn’t care what you bring in. I actually have a large backpack (meant for weekend trips) and I can put 4-5 bottles from duty free in it and use it as a carry on. I’m not sure if you could get away with that into France though. EU regulations are much stricter than Turkey’s. :) Expat life is funny sometimes. Any knowledgeable bartender will recognize this as a “perfect” Manhattan. Thanks for another cocktail post. A good choice with the rye. and p.s. that metro ad was hilarious! I can’t believe this is still a drink I’ve never tried! So how do you say “cocktail snob”in French ? ;-) I’m more of a cocktail néophyte (Englishmen don’t drink cocktails!) but having read this, I’m tempted. So where can I get a good Manhattan in Paris ? also, have your visiting friends from the US bring you a bottle of Rittenhouse rye — it’s very affordable, and you’ll get an exceptional cocktail with it. served in a cocktail glass you’ve plucked from the freezer. 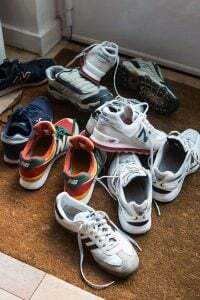 My problem is that at 80 I can manage only one. funny post – not being a hard drinks person myself, I always wondered how that wonderful whisky-shop in Lutry, Switzerland – just a few doors down from my own at the time, could stay in business – and it did well, I realised that! Well, here comes an explanation from the most unlikely source, an American in Paris – isn’t that great?! Love stuff like that…. My favorite cocktail. My grandmother would take us out to lunch as children, order her Manhattan with 3 cherries, and give each of us one. Loved the taste of the Manhattan more than the cherry—-even then! ahhhh a man after my heart… I love love love the Manhattan and try to make it every Friday evening after the kids have been put to bed. It’s such a classic! such a good post too; i love food and drink adventures. As a Canadian I have to say good for you for searching out the Rye whiskey, but I’ve been known to use bourbon in a pinch and have still been deeply satisfied. I think the sour cherries are the perfect touch. Cheers! 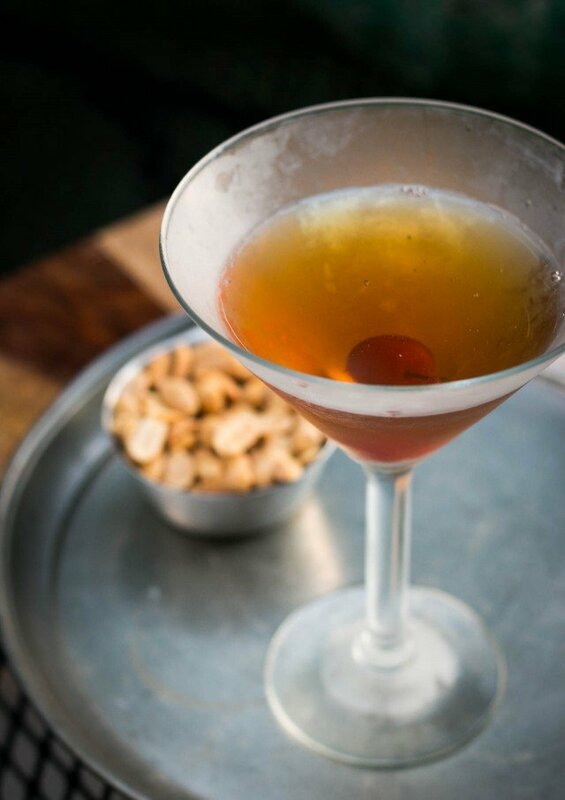 “There comes a time in everyone’s life when one needs a Manhattan.” – No truer words have ever been spoken. Around this time of the year, I need one every day! I love a good Manhattan. It’s my Christmas drink. My sister, being the pro-Manhattan maker in my family, has always strongly advised to use Canadian whiskey. I love your blog! I love your blog and your basic Manhattan! 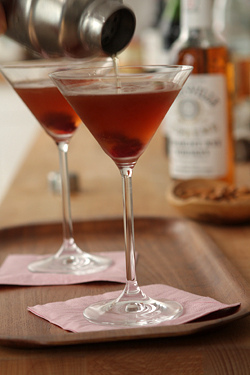 Also, don’t know if you’ve tried the so-called French Manhattan, a recipe I found on the Woodford Reserve Bourbon site. They use Chambord instead of vermouth and it’s also wonderful. If you can ever find High West Rendezvous Rye or their American Prairie Bourbon, get it. Made in the mountains, in Park City Utah, of all places, makes a dreamy Manhattan, or sipper. Ah, I love your blog! But, I should read it in the afternoon so I don’t feel like an addict because I’m craving a Manhattan at 10:30 in the morning. As an American whiskey drinker living in Canada, I didnt realize how fortunate I am to be surrounded by such a variety: Canadian Club, Glenfiddich, Johnnie Walker, Crown Royal, Jack Daniels, ect. The most revered locally is Canadian Club, a rye whiskey you can buy for around 25$ a litre. But here too the perception is that rye is the “everyday man’s scotch”, not as how your twitter follower noted. Anyway, I’ve never had a Manhattan, that’ll be next on my list. Right after I finish the batch of Irish Cream I made last night with a bottle of Jameson. Great minds moment. I include a cocktail post on my blog every week; after a couple of weeks of fun but a bit frou frou drinks I’m craving a big girl cocktail. I was recently given a bottle of Templeton Rye, a small batch rye from a producer in, of all places, Iowa and I’ve recently discovered Vya Vermouth out of California which I think is far superior to what I used to buy from France. I am going the half sweet/half dry route; wouldn’t it be fun if we could compare the results? That leaves the cherries and right now I’m so glad I made my own maraschino cherries when cherries were in season. Sour cherries, some sugar and Luxardo Maraschino Liqueur and I’m set. This makes me want to do it NOW but I know better. What’s the fun of making a cocktail if not being able to drink it…and as much as I would love to; I have to admit 9am might be pushing a lot of limits..including my ability to work! Lovely post! The Templeton Rye is good. There was a run on it in IA in the past year or two. I had to buy it in IL for my brother! I love Manhattans too, and you did them right. Next time you might want to experiment by adding more bitters (say, double what you added this time). Bitters are kind of like salt in cooking — not something you really taste if you have the balance right, but something that adds a subtle dimension. And shaking vs. stirring? 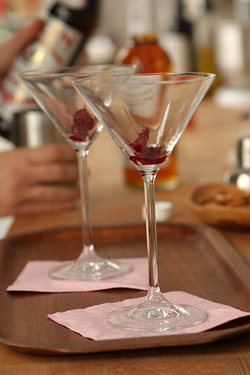 The “rule” is when you have all clear liquids — like in a Manhattan or Martini — you stir. When you shake, you (briefly) introduce oxygen bubbles into the mix, which clouds the drink somewhat (a lot of people like the clarity of a Manhattan or Martini). When you introduce citrus into a drink — the lemon in a Sidecar, for example — then shake away! The citrus juice isn’t clear anyway so no matter if you add a few bubbles, and shaking is the best way to mix the drink, and chill it in a hurry (you have to stir longer than you shake to chill the drink). BTW, I often shake my Manhattans, just because! But I’ve always had problems with rules. 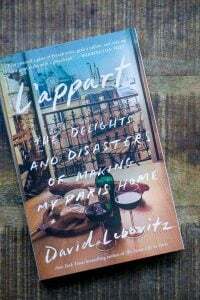 My 2 cents worth..However, first off, love your blog, cookbooks and your time spent at Chez Pannisse, ah, those were the days in Berkeley! Anyways, being my age and working in restaurants as a bartender when the drinking age in NY was 18 (which meant I was 16) I learned how to make all of what is considered retro cocktails now. I also learned from now Dad, cocktail making and the right props were essential back in the early 60s in the States. I, too, remember eating the maraschino cherries by the jarful, olives soaked in gin, right out of my Dad’s martini glass. 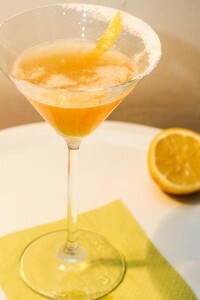 (He liked gin martinis on the rocks with lemon twist, of course rubbed around the glass like in an up version). So, David, we must be of the same generation to remember these stories, way before MADD and all that. My sisters and I use to help my parents serve their friends (on a lacquered tray) cocktails. 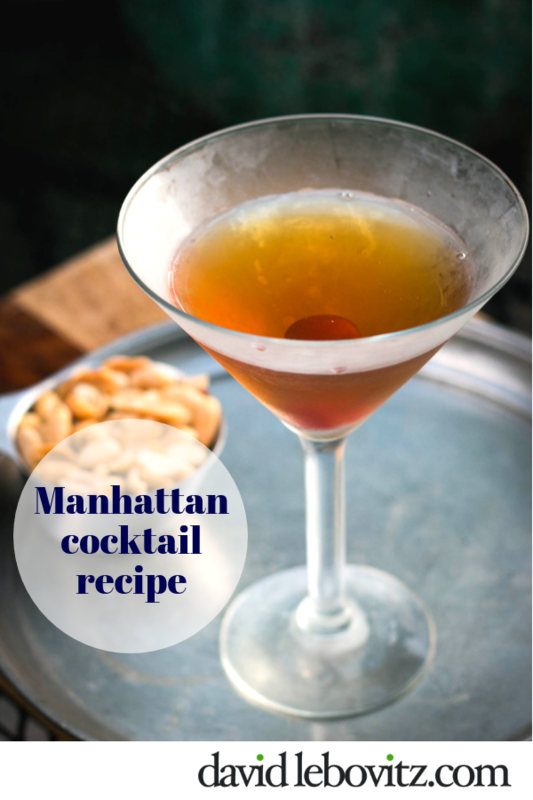 Your Manhattan brings back so many memories of Hanukkah with silver dollars as gelt and tinsel on the Christmas trees. 1 or 2 Luxardo cherries. A cocktail hour winner everytime! LOL. My grandparents settled in Milwaukee and I will forever remember my grandpa yelling at grandma, “Josephine get me one of those Manhattans”. Usually at the third one she would say no and he would tell one of us kids to make one. My Mom, upon waking from debulking surgery for fallopian tube cancer, opened her eyes and said to the nurse, ” I’m from Milwaukee, I like Manhattans”. We served them at her funeral luncheon per her requiste. So many a time, I will make myself the Milwaukee version – a Brandy Manhattan – 2 shots of brandy (large), 1 shot of sweet vermouth, all over ice, 3 maraschino cherries and a good pour of the juice (no bitters ever, that is reserved for the Brandy Old Fashion). Yummy. The juice takes away the harshness of the alcohol. Someone in my family, who will remain nameless, usually doubles all ingredients for his drink except the cherries. A big hint for ALL who imbibe, whether it be wine or hard liquor (don’t know about beer). Drink a full glass of ice water between drinks or along with the drink. You don’t get dehydrated AND there is no hangover the next day. Thanks for the trip down memory lane. Oh David, you are cracking me up with “stickers for details”. lol. That is the kind of mistake I would expect from a non-native English speaker. I am picturing you typing this in a kimono while sipping your third Manhattan. . . So, the rule of thumb among many cocktail snobs is French brands for dry vermouth and Italian brands for sweet. When you run through that bottle of Dolin try some Punt e Mes or (if you get the bullion shipment) Carpano Antica. I can drink that vermouth straight with an orange twist. Sadly, the Rye situation in Rome is pretty dire too. Which means that I’ve long since switched to bourbon for my Manhattans. Maker’s Mark is my favorite. So far I’ve not been attacked by any cocktail snobs. I know what you mean though about the maraschino cherries. Which is why I’ve been playing around making my own versions. Two years ago I used grappa to soak them in. Definitely not too sweet, but maybe too over powering for the cocktail (although they worked well over gelato). This year I followed Melissa Clark’s recipe and used Maraschino liqueur to soak them in. Perfect! One thing you didn’t mention: what kind of bitters are you using? Alas, another difficult thing to pin down in Rome. kathy: Ha! In a recent New Yorker food issue, there was a story of a young man, whose father-in-law mixed his Manhattans 4 parts whiskey, 1 part vermouth. Someday I will try that – although if I do, I’ll take your advice about a glass of ice water between ’em. john: Actually, I was hoping to get some good-quality bitters, but I dropped so much on my purchase of rye and vermouth (and bitters are expensive here as well, although you only need a few drops) that I figured I’d get some good ones on my next visit. And I hear ya’ on the whole shaken vs stirred category. I’ve seen people do things like chicken in Caesar Salads (or in Paris, canned corn), dried fruit in bagels, and tapenade recipes without capers in them. I think it’s best just to enjoy what you like. jackie: Thanks! How sweet – same to you, too. Virginia: That’s interesting, although sounds like something maybe the Chambord folks come up with to sell more of their product since I’ve not heard of those in Paris. (You don’t see Chambord often in France.) You’re lucky to have those nice rye whiskies available. Unfortunately we only have a few to choose from – interesting all these micro-producers popping up in the US. There’s nothing like a good drink…well done David from all of us Manhattan lovers! My personal preference is Knob Creek Bourbon , Martini & Rossi Sweet Vermouth, a few dashes of bitters, 2 marashino cherries, a bit of cherry juice and lots of rocks in a nice big glass…can’t wait for 5:00! Here’s to the Manhattan. The near perfect combination of simplicity, class, and joy. You’ve hit a chord. New Yorkers seem to be a-buzz with Manhattans in general and now the “Perfect” Manhattan is hot. There’s a terrific piece in the recent Dec. 3 New Yorker food issue by Chang-Rae Lee on his experience/memory of the Perfect Manhattan. The ambiance in which one imbibes may be just as important as the drink. You might try this recipe: Mix equal portions of Canadian Club and Jim Beam. Then mix equal portions of dry vermouth and sweet vermouth. Then use two parts whiskey mixture to one part vermouth mixture. Then keep this mixture in the freezer, so that your Manhattans are always ready, and always ice cold. Once you pour, add a dash of bitters and a cherry–maraschino, or David’s sour if you’re lucky enough to have made some and still have them on hand. I recently drank my first Manhatten in remembrance of my husband [ whose favorite drink it was] who recently passed away..Pretty tasty. I was pleasantly surprised and will most likely drink another one some day..However I’m a martini girl at heart..
Great article! And made me want to go & make one immediately. Sent post to my husband who has been experimenting w/ Rye. Cocktails at 7pm Central US in Austin, TX. Thanks David. came back to mention that my current favorite twist on a Manhattan is using St. Germaine in place of the sweet vermouth, and a dash of orange bitters. sublime. That St. Germaine is wonderful stuff, and pricey! Always thought I would try to make something similar with the elderflowers I see out in the countryside, but never got around to it. Perhaps I should just spring for a bottle! Manhattans, that brings back memories. I drank them in college because I wanted to go to New York and so started doing “New York” things while waiting to graduate. I did move to New York but switched to martinis when there. Now, back in California, I drink Rob Roys. Uber delicious. Try one. For you purists, don’t hate me when I say that my favorite Manhattan is made with Southern Comfort. It’s my once or twice a year drink, usually on my birthday or other anniversary. I can’t have them on a regular basis any longer since I get too “happy” otherwise. Sweeter than the regular Manhattan, take 2 oz. of Southern Comfort and a splash of dry vermouth. Oh, don’t forget the cherry. 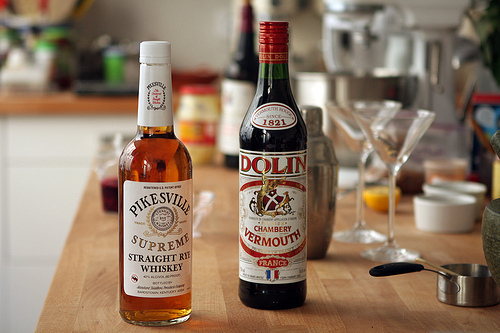 I’ve even known people to use sweet vermouth. Now that’s sweet! I’m loving this conversation and Blog. Manhattan’s are a nice Christmas time cocktail but another great cocktail I relate to Christmas is an Old Fashioned (probably because my Dad always made them at this time of year.) Happy Holidays! I’ll add my vote to using Carpano Antica as well. It’s wonderful (ok, addictive in the best possible sense) all by itself, but it gives a certain depth to a Manhattan that I like. I suppose you could sub another “amaro” like Fernet or Ramazzotti or even Campari for the bitters. 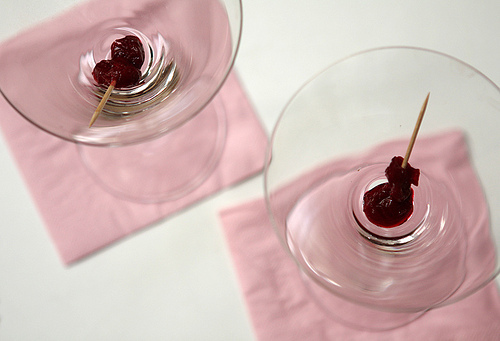 As for the garnish, I’ve preserved some sour cherries in Luxardo Maraschino and sugar, but I imagine any cherry eau-de-vie would work. I have used Amaro (Ramazzotti) in Manhattans, which works quite well – I like that Maraschino liquor a lot. 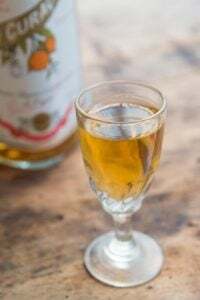 It’s hard to find in Paris, like some Italian liqueurs tend to be (best bets are Italian épiceries rather than liquor stores) – but it’s also good for baking, adding a little bit to fruit mixtures to augment the flavors. I love Manhattan also. There is a restaurant here in Los Angeles called Westside Tavern, that has a “proper Manhattan”. It is wonderful. If you get to L. A. I’ll buy you a round (or two). Here in the Bourbon Capital of the World, Lexington, KY, we make our Manahattans w/ Four Roses Single Barrel. And if you are really in the mood, purchase a real charred 2-liter oak barrel and fill with a large batch of Manahattans. Age for 4 weeks in a cool dark place. Decant into glass bottles and store in the fridge. This may rock your Manhattan world! Stir with cracked ice; strain into chilled cocktail glass. 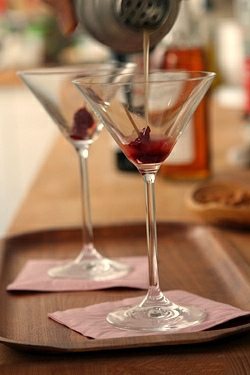 Serve with maraschino cherry. I want mine made in a hot water bottle like Marilyn Monroe. I only discovered this delicious drink when on holiday this September, and am looking forward to making both these and Old Fashioneds very soon…. OK since the Old Fashioned was mentioned I must say that this is quite likely the most elegant bourbon drink ever. The best recipe was found in Garden and Gun (a great magazine on its own). As follows: lemon rind and one natural sugar cube plus 2 dashes angostura and 1 dash Regans orange bitters. Muddle then add 1 oz water and muddle again. Add 2-3 oz bourbon (I like something over 100 proof). Add one large ice cube then sit and contemplate the world. Then make another. These days in Berkeley we drink Old Potrero rye whiskey with Carpano Antica vermouth, a cherry (thanks for your recipe) and a twist of orange and call it a Gotham City. It takes the edge right off a stressful day! David, although not related to enjoying a Manhattan, I wanted to drop you a line to say how much I (and everyone who has tried them) love your Pretzel/Nut Mix you recently wrote about. Come to think about it, a Manhattan and a handful of your Pretzel/Nut mix sounds great. I am now waiting for a batch to come out of the oven, which I will package up as holiday housewarming gifts. We had 18 family and friends over for a pre-Thanksgiving dinner drinks and appetizer party and your Pretzel/Nut mix was a huge hit. My 2 year old great niece went home with your own bag for enjoying later and I understand she did not share one bite! I am a home baker in Oakland, Ca, and belong to Bakers Dozen where we all talk about your baking skills at everyone meeting. If you happen to be visiting San Francisco, please look us up. We would love to have you come a meeting which are held at Foreign Cinema! Lovely lunch, fabulous bakers and great surroundings-how can you not love this group! For inventive cocktails in Paris, I’d go to Prescription Cocktail Club, 23 rue Mazarine. For spirits or interesting bitters, you could go to SIPEASY, 50 rue de Rochechouart, or LMDW Fine Spirits, 6 carrefour de l’Odéon. We stay in the Marais every September; wish we could live there, as you do. Lucky guy. My favorite brown cocktail! I have used Pikesville Rye (my husband is from Pikesville, MD), which hasn’t been made in PIkesville for years and is hard to find. Now I use either Jim Beam Rye or Old Overholt. I think it’s a waste to buy an expensive $50 bottle of rye to use in a mixed drink. I splurge on the sweet vermouth, since it is what gives the sweet, herbal flavor to the drink; my favorites are Punt e Mes or Antica Formula, both made by Carpano. They are much more complex than the usual Martini and Rossi or Cinzano sweet vermouths. A couple of shakes of Angostura bitters and you’re done. I have also used a shake of Fee Brothers Cherry Bitters to underscore the cherry. I just recently ordered a jar of real maraschino cherries from Italy made by Luxardo, and they are a revelation, totally worth the $16 a jar. They are tinier than the American cherries, so you get a lot of cherry for the money. I sometimes think it is a waste to use very good liquor in mixed drinks. But when a friend came over to make Scofflaws, and made one with Canadian Club and the other with Hudson Manhattan rye, there was a definite difference. However the rye I bought was €29 and was quite good too. Would be interesting to taste it alongside one with the Hudson Manhattan rye. I’d never thought of using sour cherries in a Manhattan (and a lovely cocktail it is) and will try that as I have some fresh ones in the freezer…but I digress. Wondered if you knew maraschino cherries were developed by Oregon ST University in their ag department? Little known I suspect unless you live in the NW, which I do! my father, who would be 97 now if he had lived (my mother IS 97) was a manhattan man and i am a manhattan gal. he drank many in officers clubs all over the world. he had a saying. there are two types of business men. the manhattan drinker and the martini drinker. and you can TRUST the manhattan drinker. bruno was the name of the bartender in san francisco. the bar was the persian aub zam zam. HIS favorite saying was “travelin’s trouble”. what is the new cocktail called the sandy? (a watered down manhattan). ba dum bum. What a great post. Also a trip down memory lane(s). My Grandmother was a Manhattan drinker and I remember tasting many a whiskey soaked cherry. In the 70s and 80s my Dad and my Step Mom owned a restaurant on Lake Superior, in Michigan near the Wisconsin border. My Dad and Step Mom were foodies before we used that word. Their restaurant was at the end of a 30 mile road, in the middle of the woods, but truly in the middle of nowhere. The restaurant sign said: “Outpost at the World’s End”. They served amazing food and drink to locals and tourists in the summer and to skiers in the winter. All the fish was grilled and the specialty was fresh water herring. My parents had good taste and the bar was stocked with all kinds of Canadian and American Whiskey. What they didn’t know or appreciate when they opened is that Upper Michigan and Wisconsin is brandy territory. Brandy old-fashioneds, brandy and sodas, brandy and 7. And those Uppers love them some Brandy Manhattans. I spent many summers and winter vacations serving endless Brandy Manhattans, both up and on the rocks. And no bitters, thank you very much. Regarding your remark that marachino cherries would require some of that gold bullion…Ted Allen on the Food Network’s “The Best Thing I Ever Made”, Stocking Stuffers episode, made his own marachino cherries. Here is the link. These were his answer to a homemade Christmas gift. You may have to wait until next cherry season to try this. You might also look for the marachino liquer on your next trip into Italy. (I think it’s Italian.) On some other FN show, I believe I saw a bartender cut a large swath of orange peel, hold it over the glass of liquor, sqeeze, and light the citrus oil that sprayed as a result of the squeeze. Hope all of this helps to perfect your Manhattan. Manhattans have always been my dad’s go-to cocktail so of course they became mine. 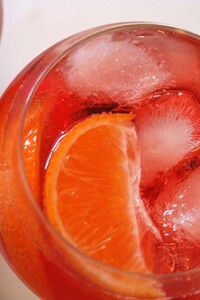 It’s also a drink that makes a girl stand out from the crowd of cosmopolitan and mojito drinkers. 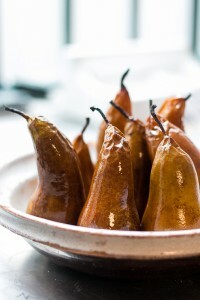 Try a using a prune (or three!) instead of the cherries. I love the comments and suggestions! My husband enjoys Bulleit 95 Rye. David: making a manhatten with 1/2 dry and 1/2 sweet vermouth changes the name of the cocktail to a “Perfect Manhatten”! Thank you for this post. It reminded me of my grandparents who were famous for the 5 o’clock drink. If you stopped by their house at 5, you were guaranteed to find a drink. My grandfather made many a Manhattan. When he died a few years ago, the family and close neighbors all went back to my parents house and drank rum Manhattans. My aunt, who doesn’t drink much, drank one as well, sipping while saying all along, “ohh, it’s strong.” Thank you the memory. Rediscovered Manhattans abut 6 months ago. Best one I ever made was with a mixture of Carpano Antica and Punt e Mes (I am of Piemontese descent and love my bitters). Had a Manhattan at the Sofitel in Philly, voted best Manhattan in Philly, and he used homemade orange bitters which were great, but no cherry, and I really missed it. Bitters, yes, but a Manhattan specifically calls for Angostura bitters. You’ll find 1 dash per drink is very light. I would recommend a heavier hand. Also, a great rye made in Canada is Alberta Springs, made from 100% rye grain. It adds a nice spicy finish, and hasn’t been discovered by the in crowd so it is still on the inexpensive, for Canadian liquors, side of things. Also, by stirring you can control the amount of water diluting the drink, not so with shaking. To dress the drink up I use griottines rather than those nasty neon maraschino things. My first household chore in the early 50’s was making the Manhattans for my parents. Three whiskey (Barton Reserve) two vermouth. 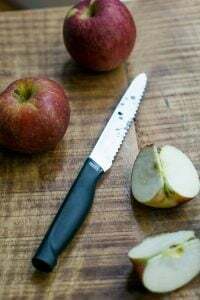 Then in the seventies, after my Boone’s Farm phase, I started ordering perfectVOManhattanstraightupwithatwist, like a million times, and I’ve been trying to refine the recipe for forty years. I always have all the great ingredients everyone has listed here, the Carpano Formula Antica, Luxardo cherries, Fee Brothers lemon bitters, Punt e Mes, Amaro, all of them, and they’re all great. So great, in fact, that they can make a drink so tasty it gets out of whack. So on Friday at 5, for myself, I use things that play well with others. Four ounces VO, one ounce Vya sweet, one ounce Vya dry, Angostura bitters and a lemon twist, stirred and strained. It’s beautiful, balanced and delicious, and I use the others to blow my guests brains out. One of the great things about Manhattans (and other cocktails) is that you can use a base recipe, then vary it depending on what you use. I use Amaro but most people don’t have them (so good to have on hand, when you need a little bitters after dinner) and the various vermouths. Next time I head to the Maison du Whisky, I’m getting some Punt e Mes, since it’s good to have around and so many folks – including you & the clerk – recommended it. I went a little crazy when I saw the Pikesville–I’d gladly trade a bottle of Hudson for this stuff. For those wondering at its scarcity: Heaven Hill Distillery produces both Rittenhouse and Pikesville, and as the former grew popular they decided to cut back production of the latter. I’m unsure as to whether they’re just keeping it on the east coast, but we sadly don’t see it in San Francisco anymore. A real shame, because it was a fine mixer. 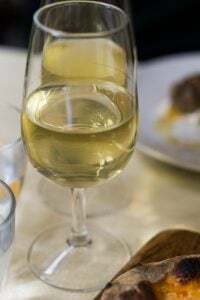 When summer comes to Paris, you’ll find it plays nicely with apricot and lemon flavors, and do try it with Dolin’s bianco vermouth. I have never had a Manhattan. I need to get out more. Does it count I like a nice Whiskey Sour? A wonderful addition is to soak fresh cherries in whiskey for a couple of months. I use Bing and Rainiers in Markers Mark. The resulting cherries are great in Manhattans, and the residual liquid is a nice addition to drinks or use your imagination. A local bar here in Seattle makes a lovely Manhattan with the usual ingredients and adds a little splash of Lemoncello, very palatable. I see a citrus theme developing here. Hilarious, this was so fun to read as another American abroad! Great writing. @Sara, Booker’s in a Manhattan? Wow, you’re a brave lady. I think that I just fell in love with you. Every late spring I buy up a 5# of cherries, eat half of them, and pack the rest in a jar with sugar and bourbon. Three months later I’ve got Bourboned Cherries. I would use Rye, but it’s never as cheap as Jim Beam. By the time cherries are in season again I’m just about out of Bourboned Cherries, so I move them to a smaller jar and use last year’s booze on top of my new cherries. The same could be done with Luxardo or creme de noyaux, but since I only use them for bourbon drinks I just use bourbon. I have always been a big fan of Manhattans and recently a friend brought me a bottle of High West Distillery’s “36th Vote Barreled Manhattan.” This is a pre-mixed Manhattan that is produced by a boutique producer in Utah (yes, Utah) with a traditional recipe of rye whiskey, sweet vermouth and bitters. After mixing, it is aged in oak barrels before bottling. It is, without a doubt, the best Manhattan that I have had in my life! Please, no nasty comments about a pre-mixed Manhattan until you have tried it. Seconding the recommendations for Carpano Antica (my favorite) and Punt e Mes, as well as Luxardo cherries. I do a fair bit of drinking at good bars in San Francisco, and these are almost always the components they use in a Manhattan. Was my grandparents go-to drink. My grandma was so particular about her recipe (which I’m now scrambling to find) that they would make large batches and put them into seal-a-meal bags when traveling. 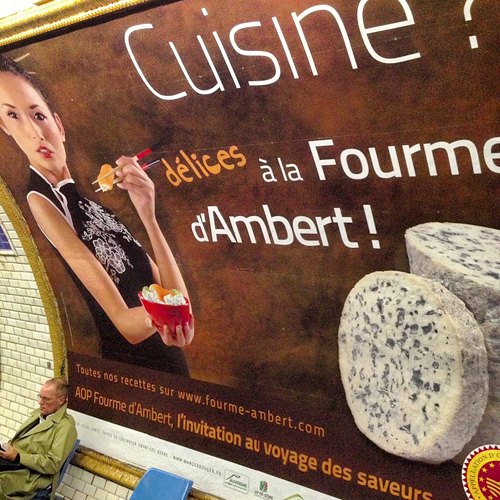 Have never had one either (@chezloulou)…think it’s about time I tried! This is my favorite drink, although I also prefer to make “perfect” manhattans — one part dry, one part sweet vermouth — but I otherwise use the same formula, and swear by it. I even made it by candlelight during Hurricane Sandy! Sure, my cookbook had come out that day but at that moment *that* had been my proudest culinary achievement thus far.